Building the leading bikes of the day, stripped back with straight-through ‘twin pipes’ fitted high or low sling and chopped off – Triumphs were the original and real desert sleds. These inspired the world’s first production scramblers, with the Bonneville T-120TT, T120C and the TR6’C’. And these were the bikes that Steve McQueen took to the desert, that Bud Ekins raced and won on, in the dirt, and that competed the most challenging desert races of all time - the Baja 1000. In 2006, with the launch of the very first ‘modern era’ Scrambler, Triumph again delivered the genesis of a new category. This triggered the world of Scramblers we see today and a whole new global fan base, from urban riders to movie stars, all in love with that iconic Triumph scrambler style and timeless silhouette. 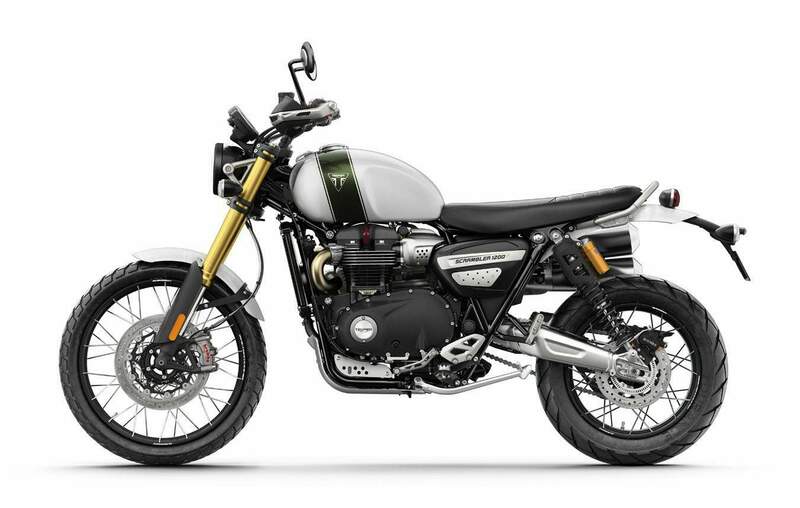 Both new Scramblers deliver category leading torque and a dedicated ‘scrambler tune’ courtesy of the latest generation Bonneville High Power 1200cc engine. The charismatic 270° firing interval ensures a smooth, linear power delivery from the slick six-speed gearbox. 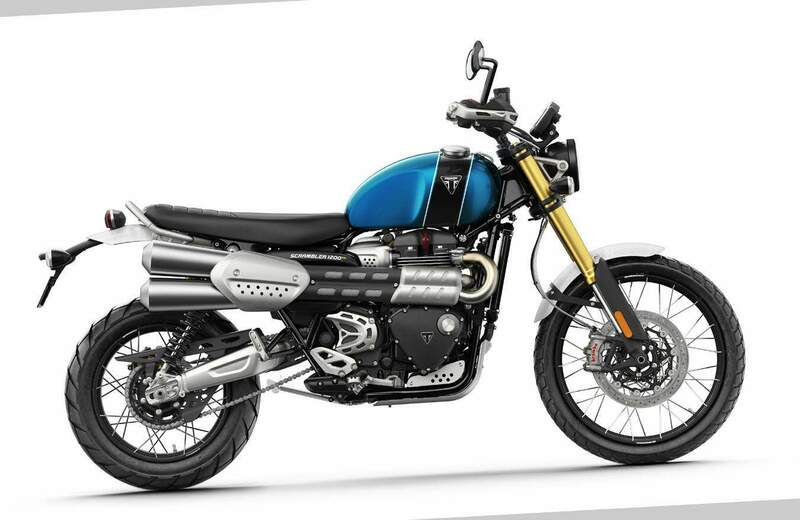 Evolved specifically for the Scrambler, the 1200 engine provides 90 PS @ 7,400 rpm, which is 12.5% more power than the Bonneville T120 and an incredible 38% more than the 2019 Street Scrambler. 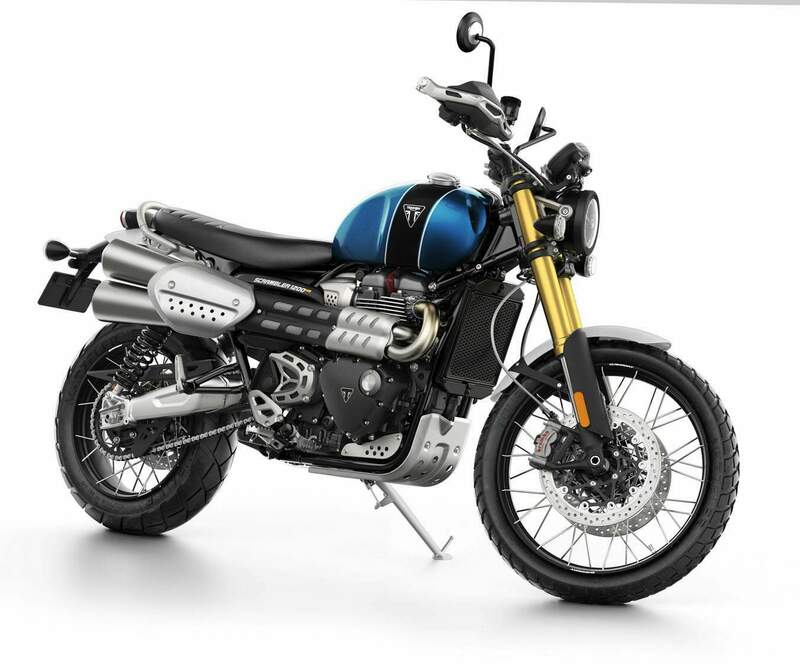 Additionally, the Scrambler 1200 power plant is tuned to deliver ‘high torque’ off-road and on, low down and across the mid-range, with peak torque of 110Nm at a low 3,950 rpm. This is also greater that the Street Scrambler by 37.5%. Delivering the Scrambler soundtrack is a beautifully crafted twin high level exhaust system with stainless steel headers and brushed stainless steel silencers for a deep punchy scrambler sound. 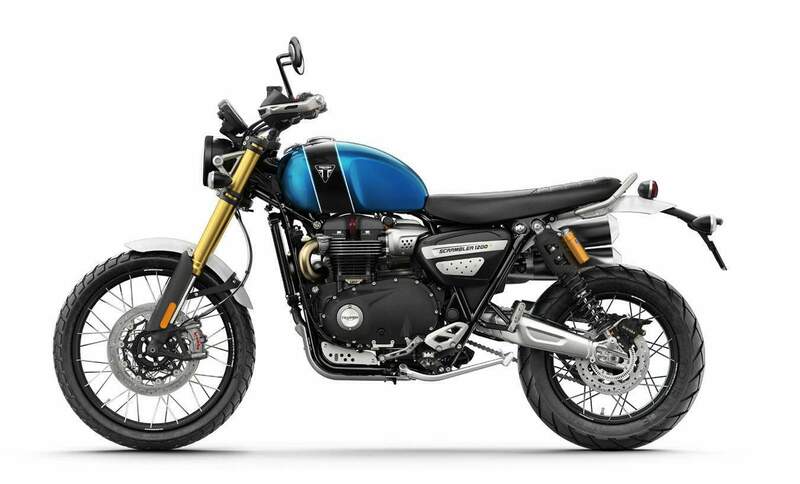 Just like all the new generation Bonnevilles, the Scrambler 1200 engine delivers leading modern classic capability with ride-by-wire, as well as a sensitively incorporated liquid cooling system for enhanced performance and cleaner, more fuel efficient riding. 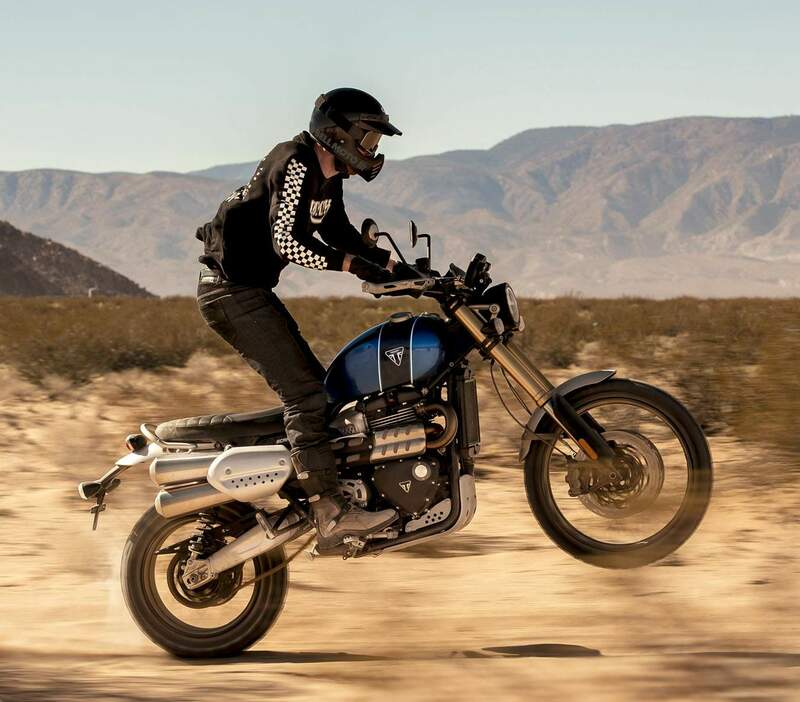 Both Scrambler 1200 models also feature a high first major service interval of 10,000 miles/16,000 km. 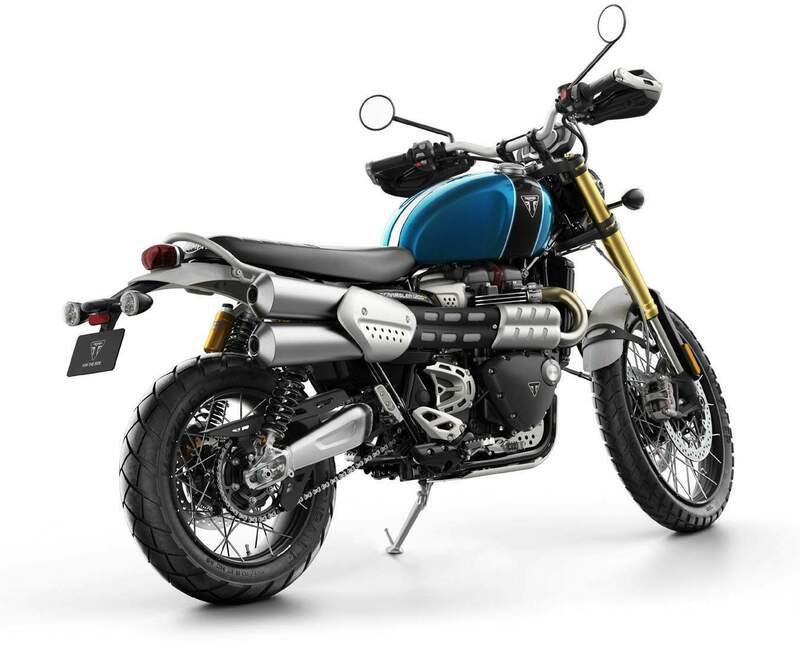 Both models feature Triumph’s latest generation full-colour TFT instruments, with a stylish design and two information layout design themes that can be personalised. This includes an all-new feature that allows the rider to update the start-up screen message with their name. 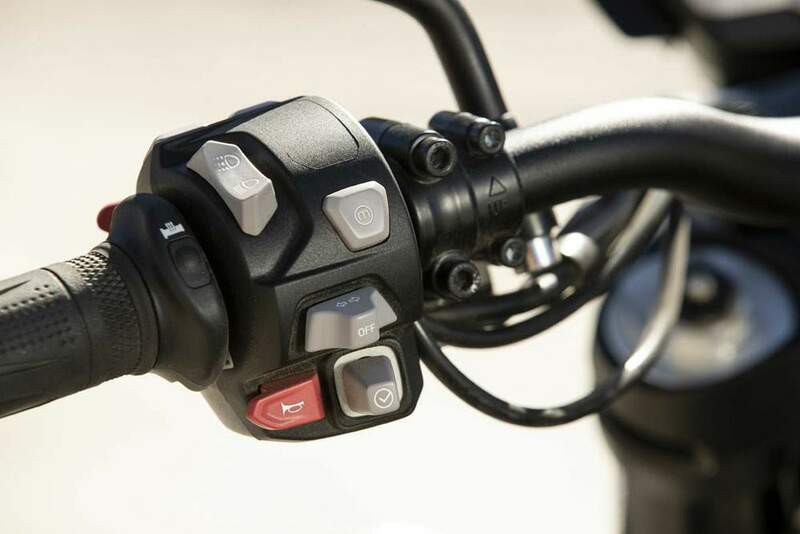 The switches on both Scrambler models are backlit from LEDs housed inside the switch cubes, enhancing rider interaction and improving control by giving a soft glow in all lighting conditions. 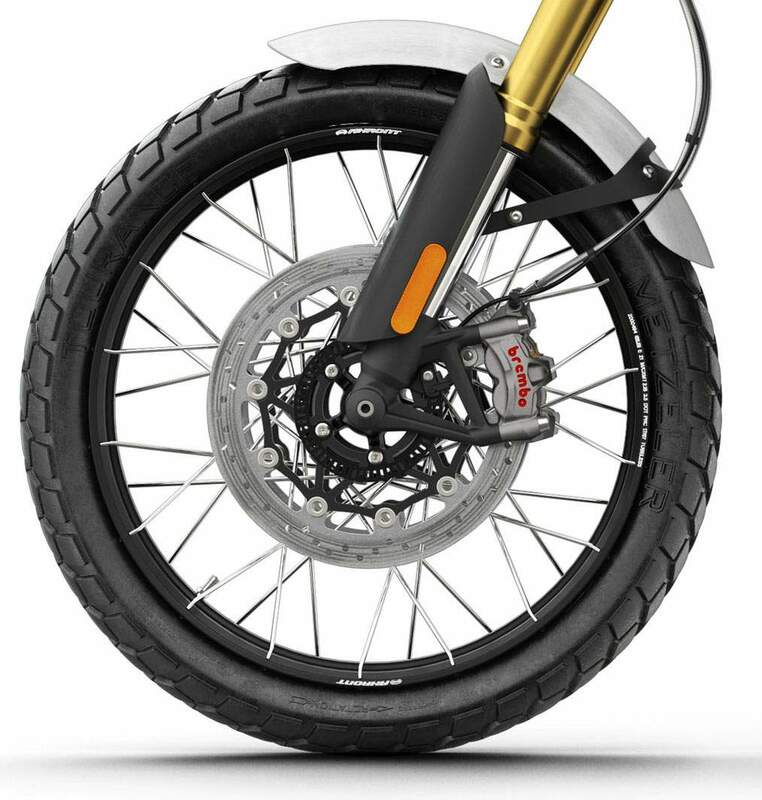 Electronic cruise control is fitted as standard to both Scrambler models. This is a single button system fitted into the left hand switch cube. This feature can be easily accessed while riding for maximum convenience and safety. 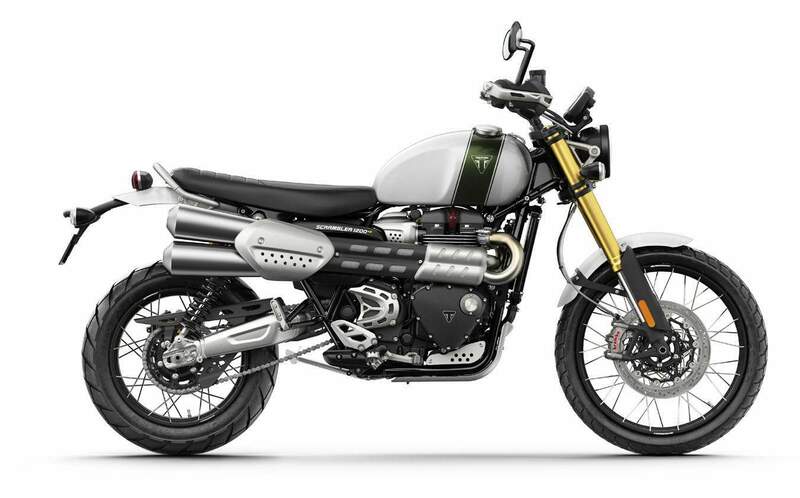 Another Triumph first comes with the introduction of an integrated turn-by-turn navigation system powered by Google™ – their first motorcycle manufacturer partnership. The navigation system is facilitated through an accessory fitted Bluetooth connectivity module. 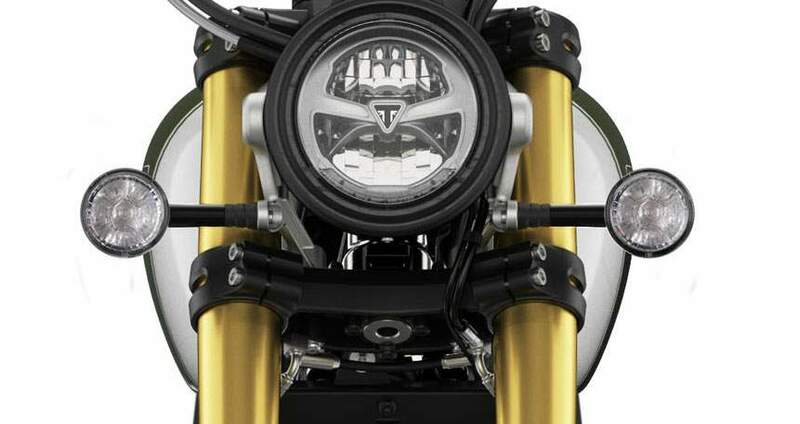 Once the rider has selected the route on the Triumph app and set-off, the instruments present turn symbols on the screen using simple graphic icons. With this system, the rider has at their disposal a navigation system, a route-planner, their final destination and points of interest such as hotels, petrol stations and restaurants. 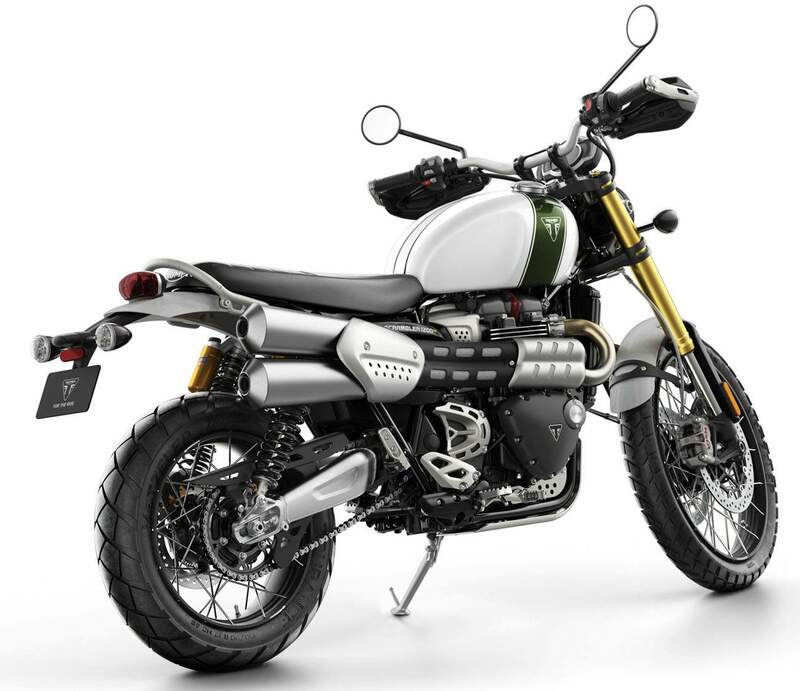 "The twin spring Öhlins RSU on the new Triumph Scrambler 1200 combines new technology with inspiration from 70's motocross to deliver high performance and long suspension travel capability.